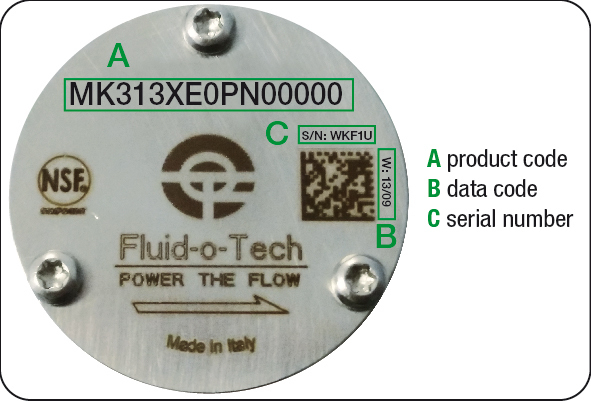 The Fluid-o-Tech MK series gear pumps have been designed to handle more viscous fluids. Ports have a larger diameter and the internal passageways have been generously sized to allow viscous fluids to flow through without friction or cavitation. The gear pump housing is in stainless steel AISI 316L and the non-metallic parts have been selected to comply with the strictest sanitary requirements. The gears and bushings are in PEEK™ or PTFE™. Other materials, as well as a range of driving magnets are available. In operation the MK series pumps are pulsation-free and capable of handling liquids up to 120 °C (248 °F) with flow rate up to 250 l/h (66 GPH) and pressure up to 14 bar (260 psi). NSF certified pumps for potable water or fluids for human consumption are also available.